Paradeep: Farmers’ Training Institute(CORDET) was inaugurated on 02/10/2017 by the Board of Directors of IFFCO. 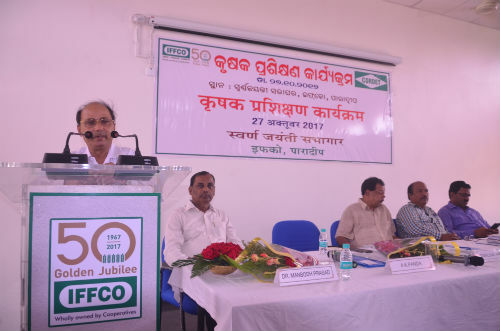 On the inaugural function of 50 years of Golden Jubilee Celebration, MD of IFFCO Dr.U.S.Awasthi addressed the farmers that this Institute will cater the technique of farming in the State of Odisha and the whole country. The farmers will take the benefit of the recent techniques of different kind of farming and its implications on the soil so as to get better productivity and keep soil intact without adverse effect on it. 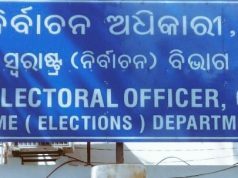 Today, the 1st training was being imparted to the farmers of Jagatsinghpur District. 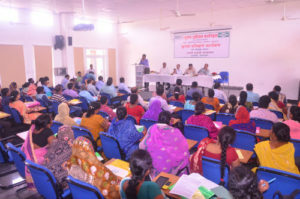 The CORDET chief Dr.M.Prasad and his team along with the team of State Marketing Manager of Odisha arranged the training to the 1st batch of farmers. On this occasion, Sh.Simachal Padhi, Director focussed on that the farmers will take the benefit of the training Centre. Unit Head of IFFCO, Sh.A.K.Panda also spoke on the subject and expressed that this is the 1st Training Centre of India with all modern facilities. IFFCO shall provide all the amenities for the training programme in any language which shall be understood by the farmers. The hostel facilities shall also be provided to the farmers for residential programmes.Sh.S.R.Maurya, DGM(P&A) introduced the guests present on the dias.District Agriculture Officer, Sh.A.K.Mohanty also spoke on the subject and expressed his willingness to be a partner for the benefit of the farmers .This is full one day programme. 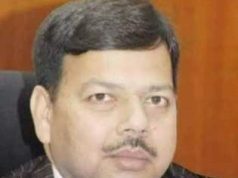 Sh.G.C.Acharya, DGM(HR),Sh Prasanna Kumar Beura, Administrative Officer ,Sh Gyanendra Sundarai and all HR officials have contributed to make the training programme grand success.